We’ve recently published some more forthcoming articles ahead of print on our ‘Early View’ site. There’s everything from colonialism and the Canadian diamond industry, community struggles for environmental justice in the US, and collectivised urban water management in Spain; through two papers (by Laura-Anne Minkoff-Zern and Julie Guthman) which will go on to form part of a special issue on ‘race, space, and nature’ in the not too distant future; to a provocative intervention from Glasgow geographer Anna Laing entitled ‘Beyond the Zeitgeist of “Post-neoliberal” Theory in Latin America: The Politics of Anti-colonial Struggles in Bolivia‘. You can see Anna talking about her intervention – all about enduring inequalities and injustices in Evo Morales’ ‘post-neoliberal’ Bolivia; it will be in print in Antipode 44(4) very soon – below. 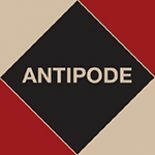 This entry was posted on 26 June 2012 by Antipode Editorial Office in Video Abstracts and tagged Anna Laing, anti-colonial struggles, Bolivia, critical geography, Evo Morales, internal colonialism, Isiboro Sécure National Park and Indigenous Territory, Latin America, post-neoliberalism, radical scholars, the post-neoliberal state, twenty-first century socialism.